ANnIE pushes back against techno-solutionism, providing a glimpse into a world environmentally and socially inverted by the intersecting realities of AI and climate change. The futility of applying such sophisticated technology to extending the capabilities of terrestrial ecosystems by giving them flight and internet connectivity offers viewers a beautiful, poetic, yet unsettling vision of how interactions between culture, technology and ‘nature’ may appear in the not too distant future. ANnIE speculates on how AI can spread beyond simply automating human work, but also how AI could extend the capabilities of non-human actors in response to the Anthropocene. As climatic conditions continue to be altered by human activity, re-envisioning the ‘natural’ landscape as it may look at the intersection of irreversible environmental impact and the emergence of AI as the dominant technological paradigm seems befitting. The semi-dystopian, yet powerfully playful image of a tribe of nomadic ecosystems taking flight and vying for space in narrowing regions of viable space plays to human desires for techno-solutionism while offering what would be ultimately a futile attempt at preserving life as it once was. I envision the project as an Anthropocene version of the Hanging Gardens of Babylon. 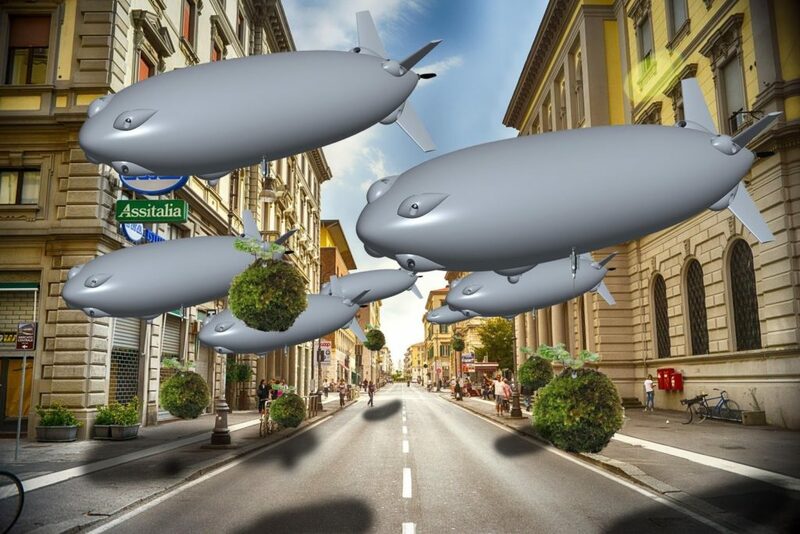 Visitors will be confronted with a room or space where a series of 10-15 small autonomous dirigibles or blimps are silently floating in a self-choreographed pattern as they search for conditions more optimal for the ecosystem they carry onboard. The dirigible will be outfitted with solar panels and electrical reclamation systems integrated within the onboard ecosystem. The two will be inexorably intertwined. As viewers pass between these 0.5-2m long dirigibles as they search for optimal conditions, viewers will notice the flight pattern of the tribe change to stay away from human influence. The tribe of nomadic dirigibles will attempt to stay physically separate from viewers, always out of reach. In a gallery setting, the dirigibles will simply move about in their autonomously choreographed dance, fruitlessly searching for rain, wind, fresh air. Onboard sensors will monitor conditions in the gallery, and the data will be presented on a screen. The location data of each one will be tracked, creating a kind of Laban Notation on screen. If released outside, the tribe of nomadic systems will collectively search for living conditions more optimal to the needs of their onboard ecosystems while still avoiding human contact. Slowly, the tribe will embark on a journey towards their destination. 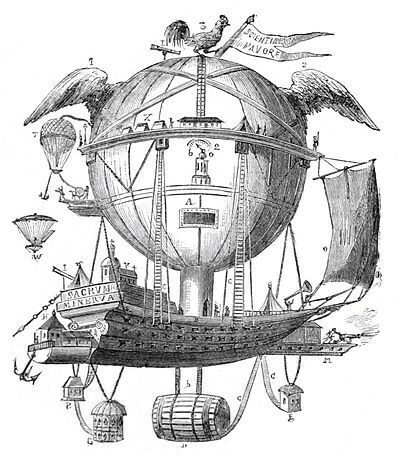 Aesthetically, the work will be a mix between the rendering I have included below, and “La Minerve”, an 19th century speculative balloon conveyance. Artist-in-Residence at Coalesce at The University at Buffalo. He has had recent exhibitions at ZKM in Karlsruhe, Flux Factory in NYC, LifeSpace in Dundee, and has shown at the last three ISEAs. As a speaker, he was featured recently at WAAG Society, Border Sessions, FSCONS and AMRO and is currently Artist in Residence at The University at Buffalo’s Coalesce Center for Bioart.